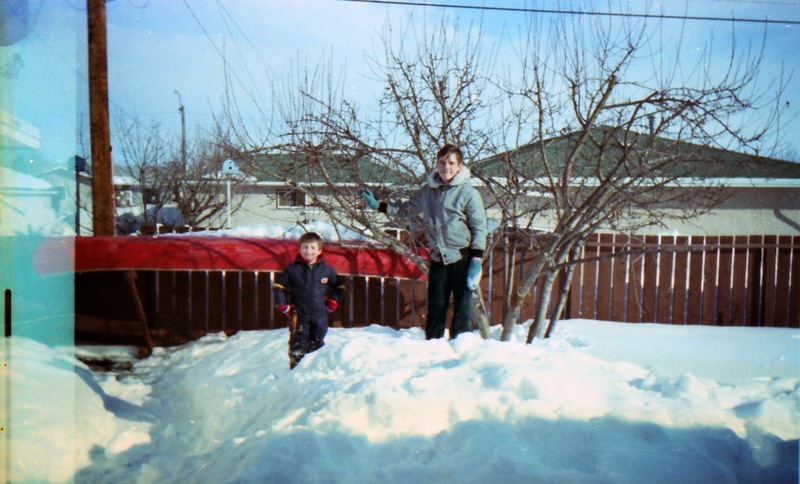 Here are Sean and I playing in the backyard sometime in early 1982. I feel like we used to get more snow back then, but of course I'd have to look at the data to be sure. We moved the canoe from Leaf Rapids to Leduc, but I don't remember if we ever used it in Alberta - certainly not during the winter.